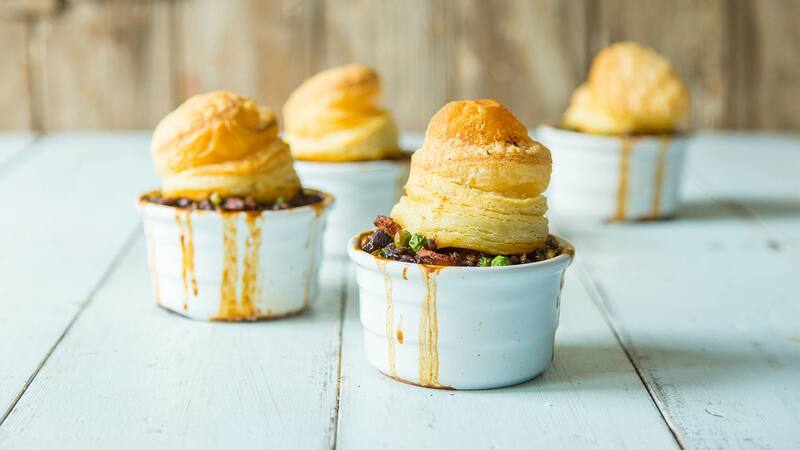 If you want to get fancy with puff pastry or gluten-free pie crust, this dish is for you. 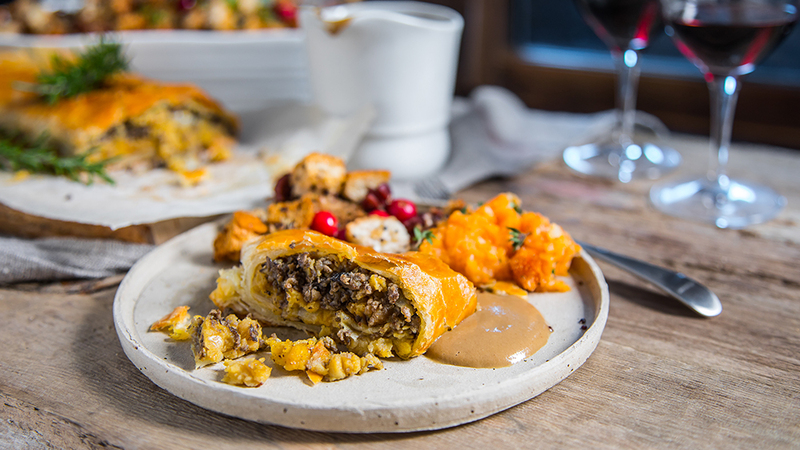 Swap out the beef and fill your pastry with a delicious blend of lentils and veggies to create what just might become your new holiday go-to. Warm, filling, and French to death, this bourguignon is just about as much fun to say as it is to eat. This hearty and savory dish will quickly earn a place of honor among your main plant-based meals. 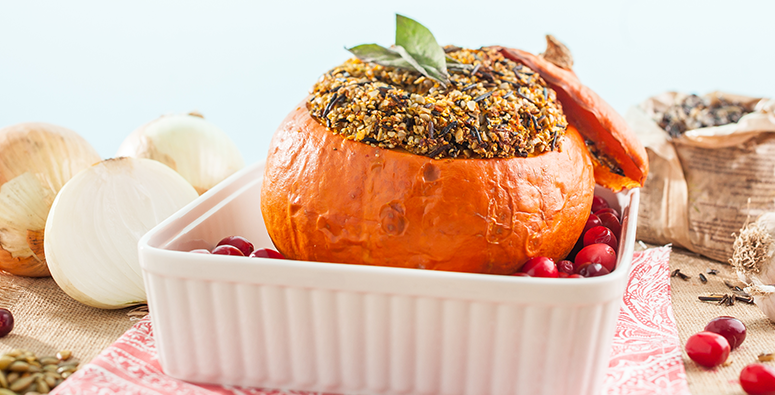 It’s hard to go wrong with stuffed squash, especially when it’s full of kale, thyme, and sage. 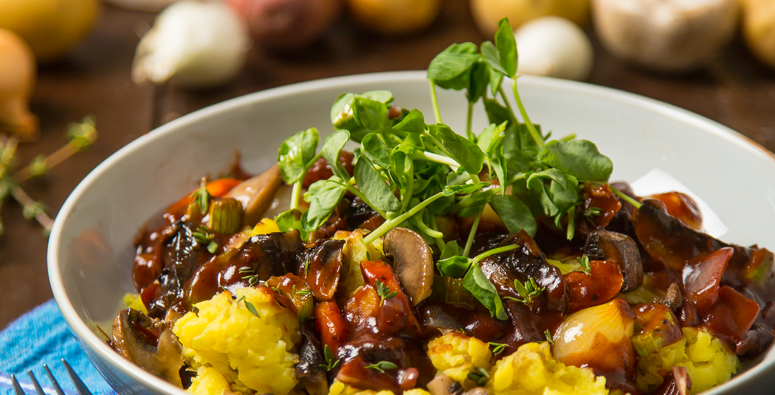 If your holiday feast falls on a dark and stormy night, or even just a really cold one, this mushroom bourguignon is the perfect choice. It’s a touch fancier than classic go-to’s, and might just make you feel like you’re mastering the art of French cooking. 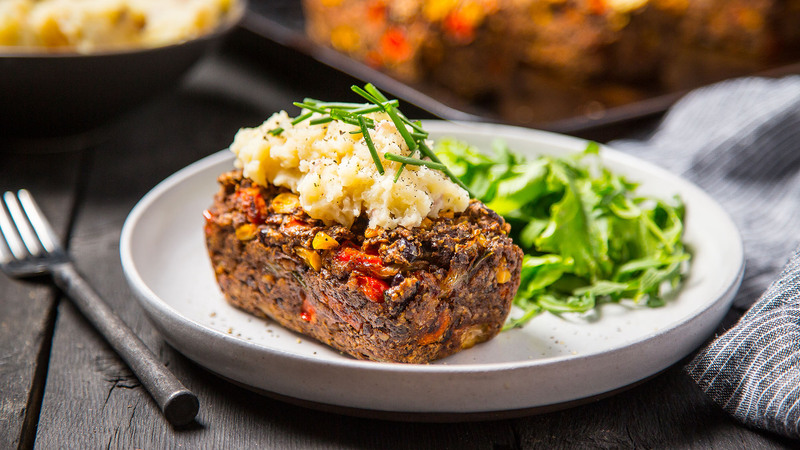 Get a big ol’ slab of cauliflower and transform it into this deliciously hearty steak with all the fixings. 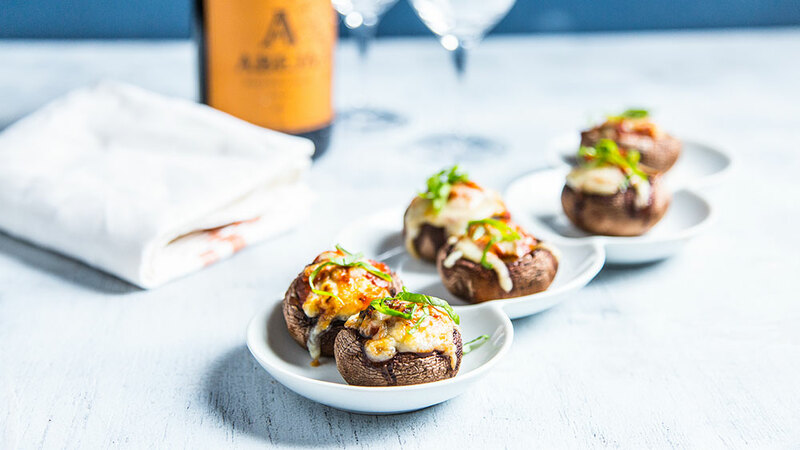 Portobello mushrooms have such a smooth texture, and taste best when stuffed with a medley of delicious vegetables and rice. 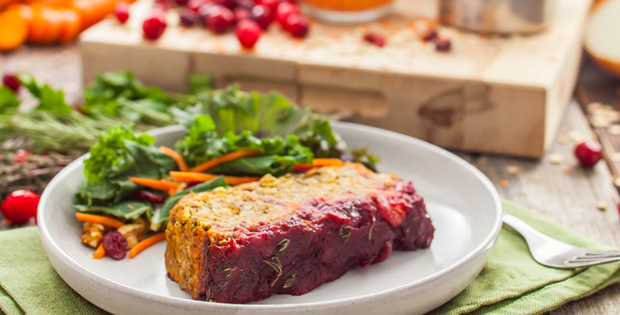 Start loafing around with this meatless loaf. This robust dish is full of beans and delicious vegetables to tempt everyone’s taste buds. 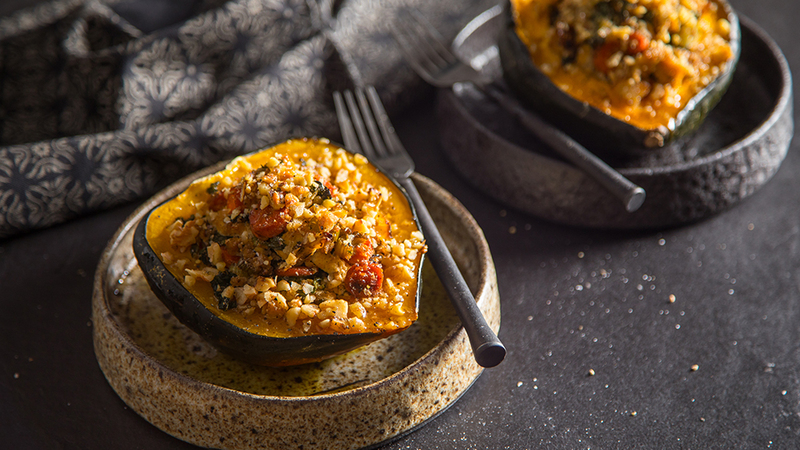 If you really want to create a dish worth celebrating over, try this rice pilaf stuffed squash. 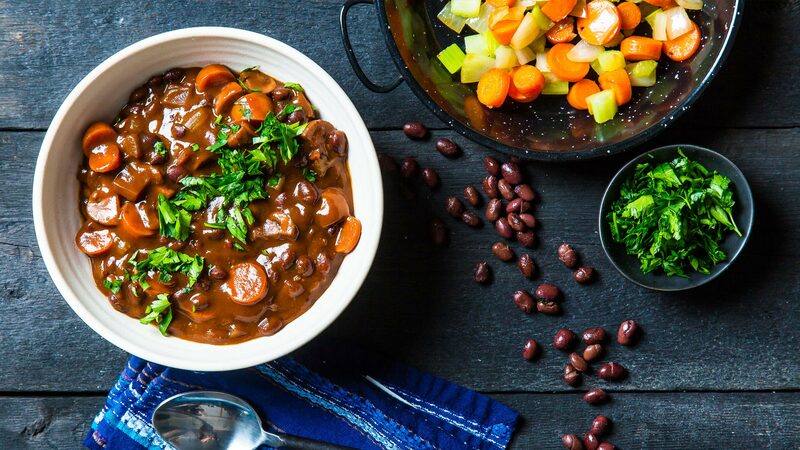 If you know your dinner guests will love having their own special entrée make this plant-based twist on an Irish stew. 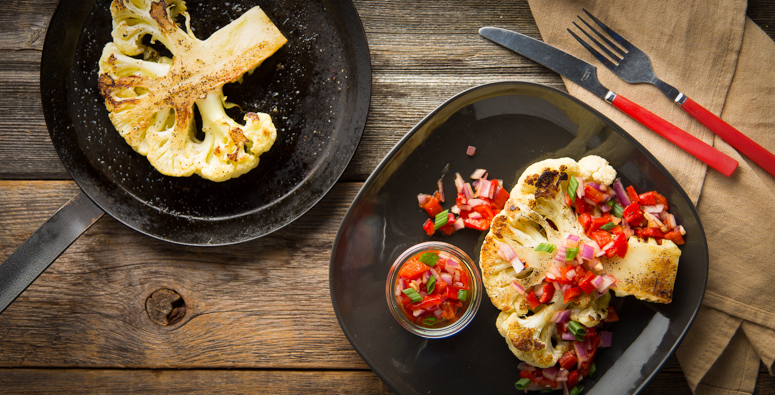 Which one of these main dishes are you going to try? Let us know!